This city has the best from big and small town. Is not overcrowded but you can always meet new people. Most locals loves Brno and they try to make it interesting therefore we have some festivals and cultural events almost every week, we have many artistic/alternative coffees, museums and also some historical monuments. Nothing interesting here, only if you want to fight local rednecks. I´d call it likely a village. This "small" city is absolutely fantastic, with tons of cultural events and sights. It's also the greatest jumping off point to the rest of Central/Eastern Europe. Budapest, Bucharest, Vienna, Munich, Zagreb, etc. within just a few hours drive. it's a gorgeous place, with nature-crazy people who are in love with their region of the planet. Tons of great couchsurfing hosts to show you all of the good stuff. In any case, remember, it will be warm in June, so maybe choose a location with a higher latitude. Also be aware that Central/Eastern Europe is generally a lot cheaper than than the west. Hope my 2 cents helps. I didn't spend enough time in Brno, but the time I spent, was well spent. Very small town with some cool features. Biggest plus is the insanely cheap food and drinks. 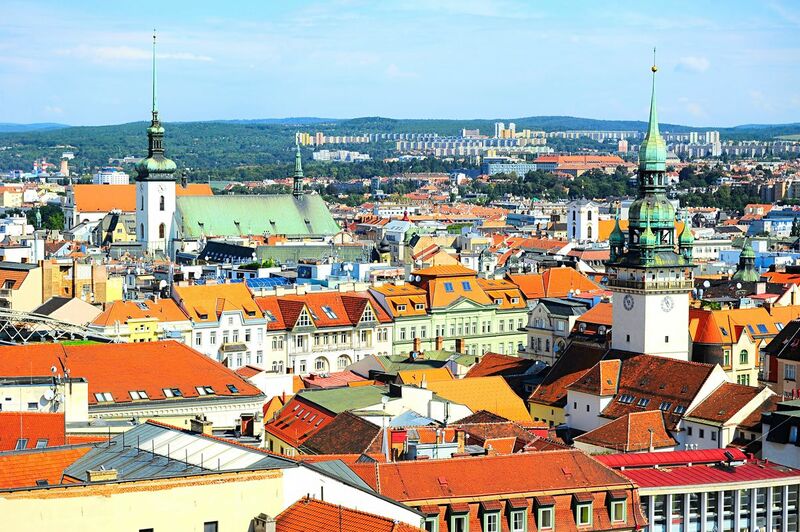 Brno doesn't get as much recognition as it should next to Prague yet it is vibrant and full of history,. One of the nicest cities I've ever been. It's quiet, civilized, a symbol for the classical central europe small town.